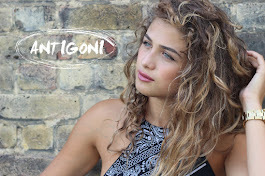 She was one of the standout performances on the night of the Eurovision Song Contest - despite only taking 15th place. 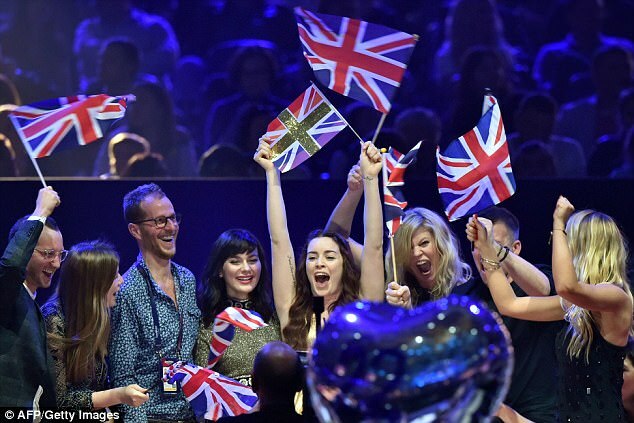 And social media has been awash with praise for former X Factor star Lucie Jones after she took to the stage in Kiev to perform her tune Never Give Up On You in the grand final, which scored the best ranking for the UK since 2011. 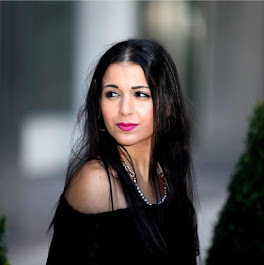 The 26-year-old brunette, who lost out to Portugal, stunned in a gold lame gown with a plunging neckline as she sung her heart out - winning fans around the world, including a few home grown celebrities. 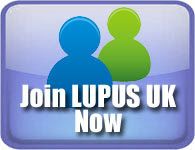 Comedian Jack Whitehall joked: 'Lucie Jones was brilliant. If she wins - it's on merit. If she does badly - Brexit. #Eurovision'. 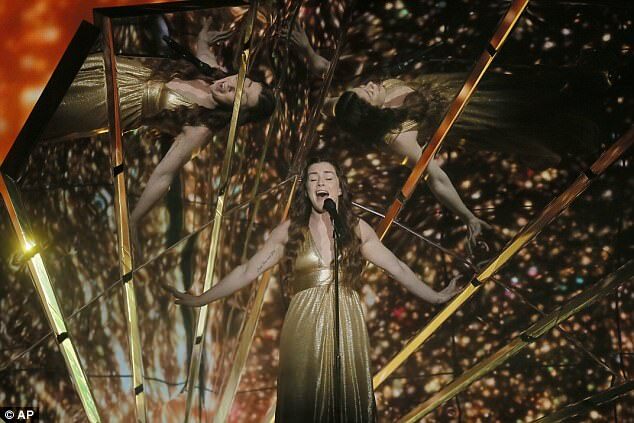 'We deserve to do really WELL @luciejones1 sang her heart out #EUROVISION', Lorraine Kelly posed. Les Miserables star Samantha Barks exclaimed: 'YESSSSSSSSS @luciejones1 STUNNING BEAUTIFUL PERFECT!! 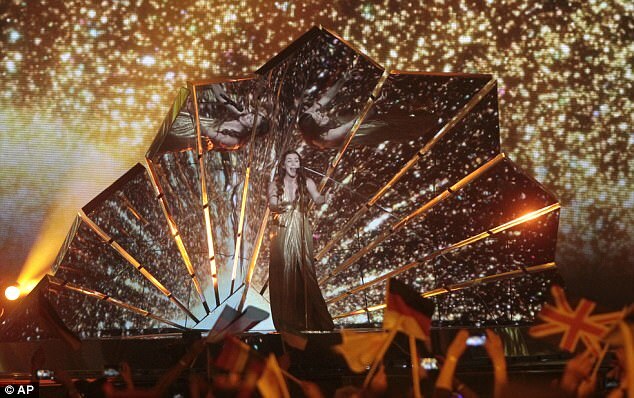 @bbceurovision'. Fellow former X Factor contestant Ruth Lorenzo, who represented Spain at Eurovision in 2014, also weighed in on her 'amazing' performance. 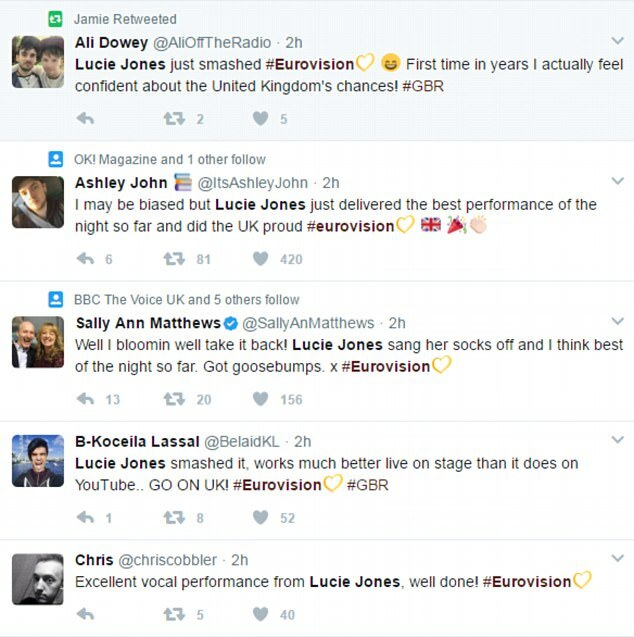 Viewers at home went wild for Lucie's performance, branding her one of the best UK entries in years and praising her powerful vocals. Despite only placing in 15th position, fans were quick to point out that it was the UK's best result for years. The West End star scored 111 points, marking the country's strongest performance since Blue competed in 2011. The boyband had received 100 points and came 11th in the competition. Salvador Sobral, who sung Amar Pelos Dois for Portugal, received 785 points from the jury and public votes. 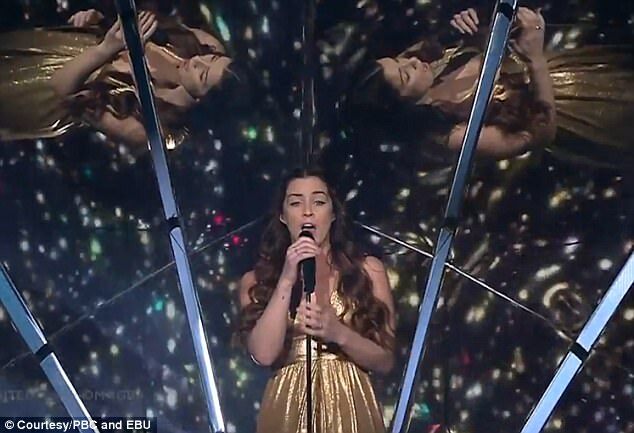 One viewer tweeted: 'Absolutely gutted for @luciejones1. I thought she was amazing. Certainly deserved many more points and a left side finish #Eurovision #GBR'. Others rallied around her, enthusing, 'Lucie Jones has done us proud, an amazingly talented singer, and we didn't come last! #Eurovision'. 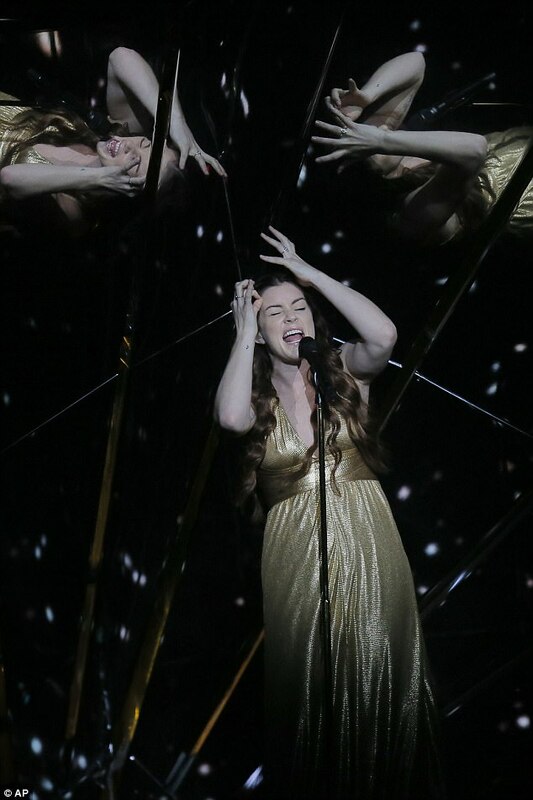 '15th with 111 for UK , it's an improvement, it's great to be out of the bottom 5, thank you @luciejones1 , you were great ❤ #Eurovision, another viewer posted.